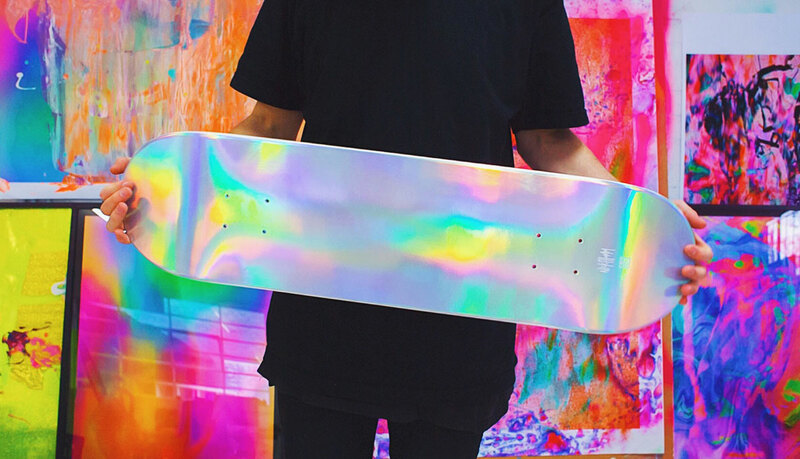 The Holographic Skateboard By Nick Thomm features an iridescent holographic surface on both sides, skateboard is designed as functional artwork that is likely to capture the interest of people interested in this sport. 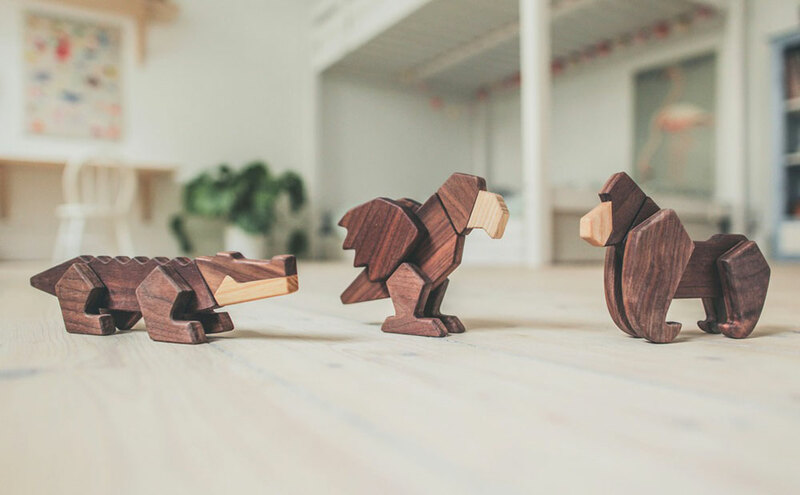 Each board is made by hand and unique, therefore may have minor imperfections, these are an intended part of the process. 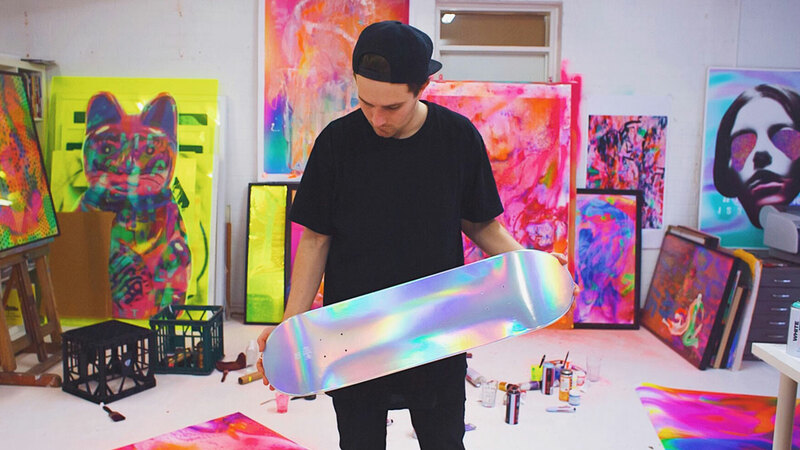 These boards have mainly been designed as luxury art objects to hang on your wall. However, they do remain completely skate-able. 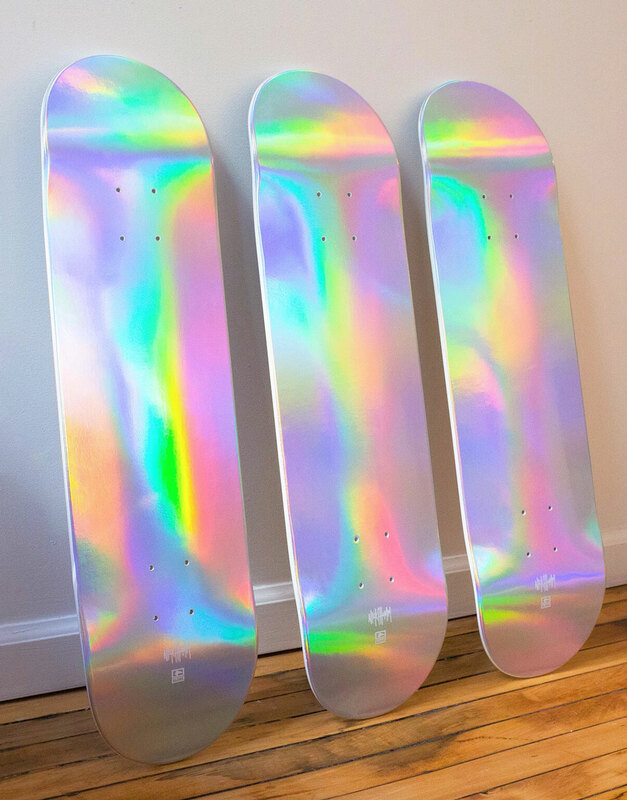 The holographic finish has been applied to 100% Canadian Maple Skateboards made by one of the best skateboard manufactures in the world. 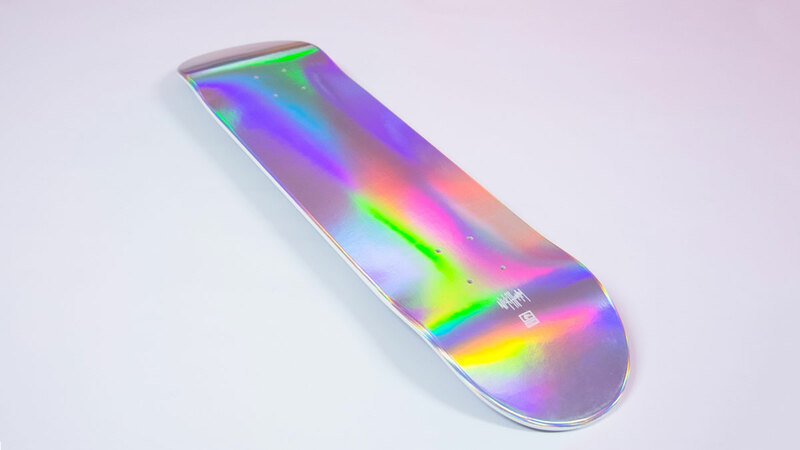 You can also find clear grip-tape to avoid covering the top side of the board.